This Season's Must Have! 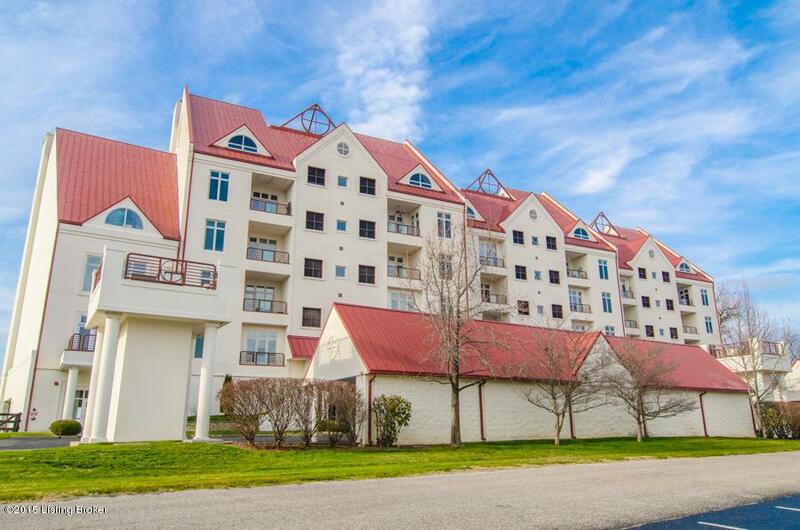 Overlooking the Ohio River and just a few short minutes from downtown, this spectacular 4 Bedroom, 3 1/2 Bath penthouse property offers top of the line finishes and stunning views of the river and marina. An elevator delivers you securely to your own front door. 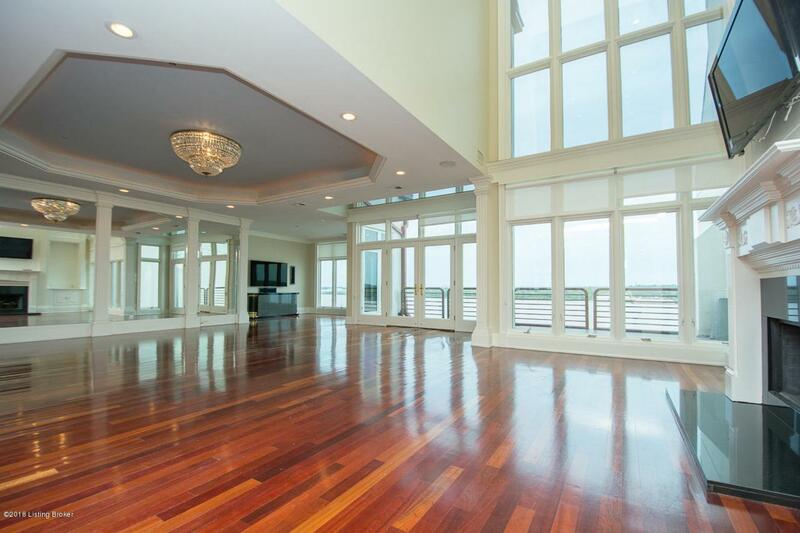 River views await from the Great Room, Study, Kitchen, Dining Room, rear Balconies, Master Bedroom, and Master Bathroom. A grand entry is richly appointed with a circular volume ceiling complete with under lighting. Brazilian cherry hardwood floors run throughout the first floor. The Great Room has custom built-ins surrounding a grand fireplace (Built-ins, fireplace & ceiling re-painted August 2018). The spacious Dining Room features an arched pass through to the Kitchen.The Kitchen is a cook's dream with 2 dishwashers, double ovens, granite countertops and plenty of cabinet and prep space. Enjoy your morning cup of coffee on the front balcony, just off the kitchen, for a scenic view of the marina. The first floor features a Guest Bedroom with elegant Full Bath. The second floor Laundry is a great convenience. 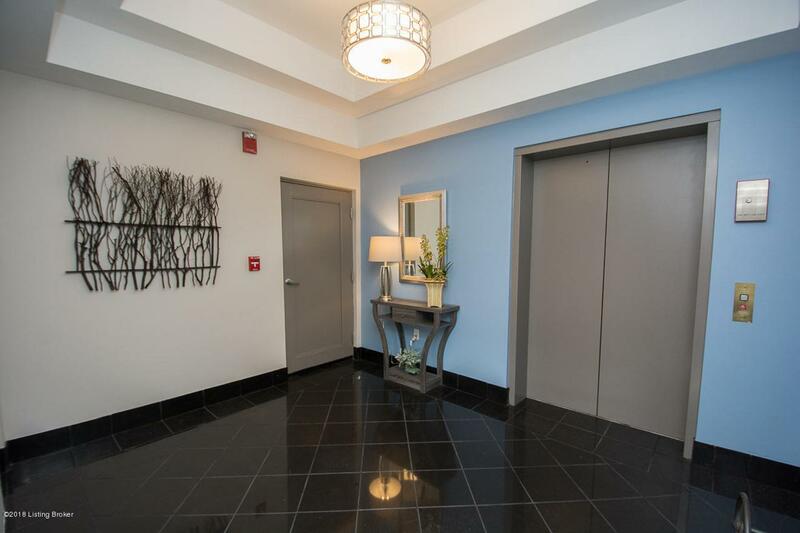 There is no need for a first floor master bedroom when you have an elevator located right inside your own home! With a push of a button (or you can walk up the gorgeous curved staircase), you will enter the most exquisite room of all - the Master Bedroom. This home is architecturally designed for style, spectacular views and functionality. Elegance abounds with a bit of contemporary flair. The Master Bath almost appears to be suspended due to all the glass and windows. 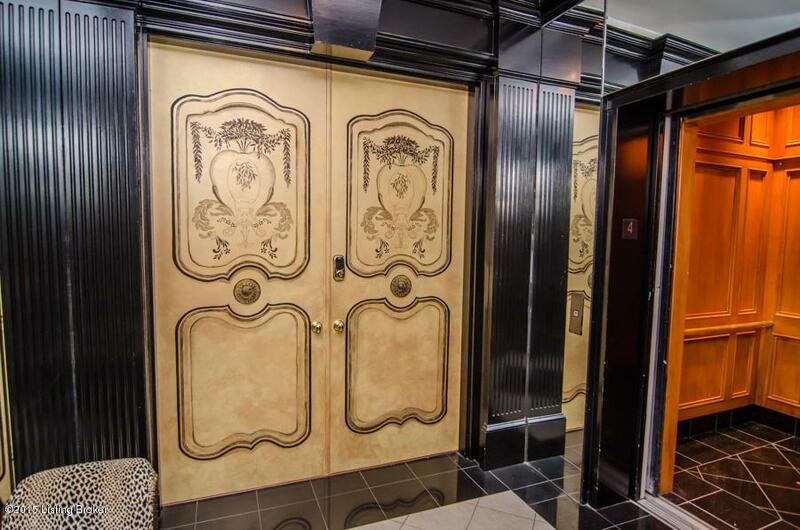 There are his and her commode rooms and vanity areas. One closet is so spacious; there is a sliding ladder for reaching the highest shelves. Best of all, you can be downtown within 10-15 minutes. Harbortown offers owners use of the exercise facility, pool, sauna, party room, secure parking, storage and nearby boat docks.